We have Used Wedding Dresses perfect for Halloween! Vintage Wedding Gowns and Themed Wedding Gowns for Halloween Zombies and Ghouls. 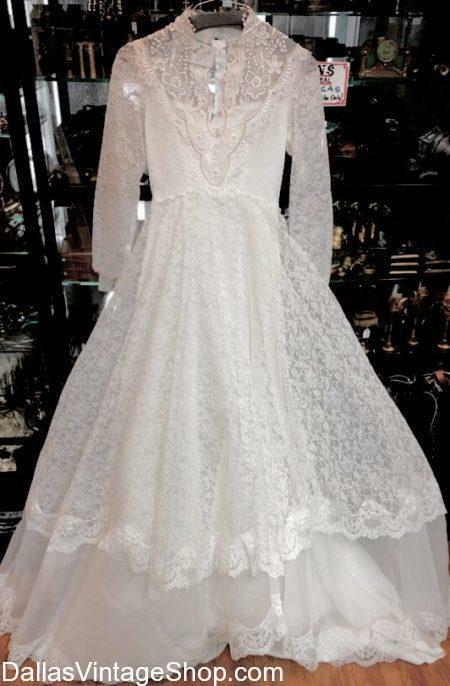 We have a ton of Economy Priced Halloween Wedding Dresses that are cheap enough to be perfect for Day of the Dead Wedding Attire, Zombie Wedding Dress Costumes, Bride of Chucky Wedding Dresses, Bride of Frankenstein Wedding Gowns, Cute Sugar Skull Wedding Dresses, Ghost Brides Wedding Gowns, Scary Wedding Brides Dresses, Halloween Ghoul Wedding Dresses and other some Economy Used Wedding Dresses and Halloween Wedding Costume Dresses. If you want to get really cheap Halloween Wedding Dresses you will find some that are slightly damaged or stained (Perfect for shredding ripping for the Zombie and Ghoul look). We have the most Diverse and Largest Collection of Used Halloween Wedding Dresses in the Dallas, DFW and North Texas Area. We are open all year.